I’m up on the Prima Blog today to showcase this OTP that I created for CHA. 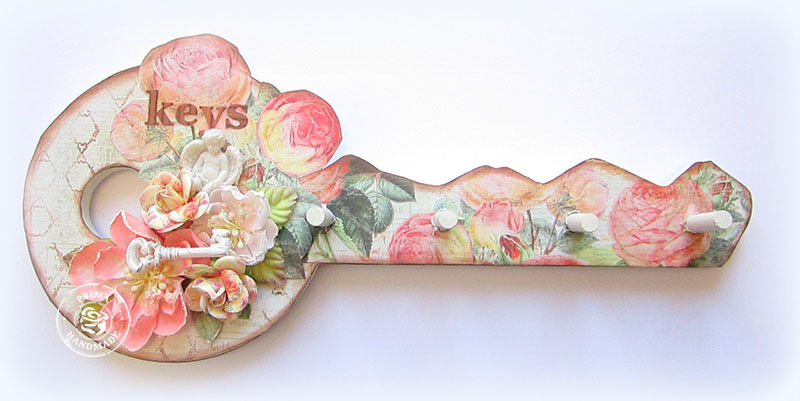 It is an altered key holder from the dollar store featuring the new “Something Blue” collection. This wooden piece cost me 2 dollars and I was able to cover it wight he papers and embellish it with flowers and resins. It was an easy simple project to do and only took me about half an hour to make. If you are looking for a simple project to make, this is the one for you. Hi Keren!!! this is a gorgeous project dear! I am so in love with your style…really beautiful!! the collection is so awesome…so want it! 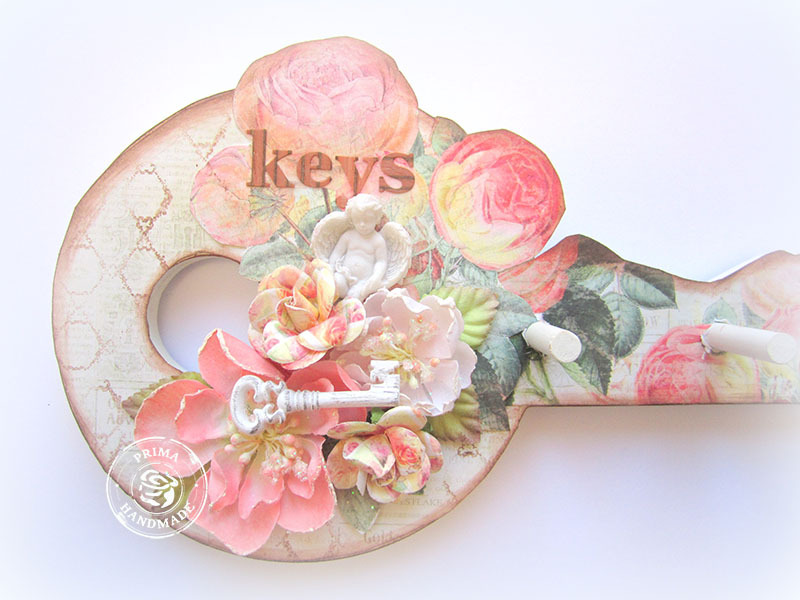 What a great spot – this key makes a wonderful decorative object with those fabulous papers and flowers – beautiful alteration! What a fabulous project..and done in 1/2 hour? no way!!!! 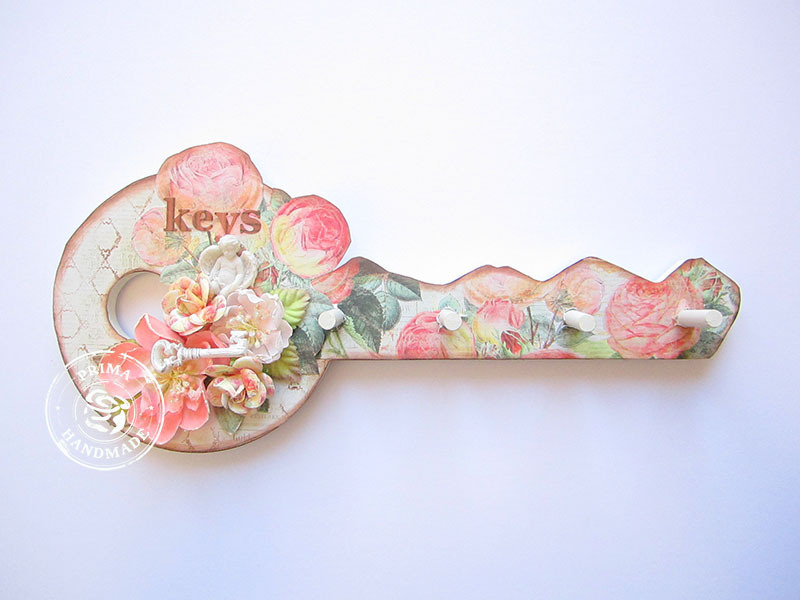 Your creativity must be on overdrive, lol..
Karen your key is absolutely stunning! Thank you for sharing! OH wow, this is pretty and practical.. love the prima papers.. looking forward to getting them over here! Love this project….so absolutely beautiful and stunning! Love the papers you chose…!!! This is fantabulous..so much love it ! !